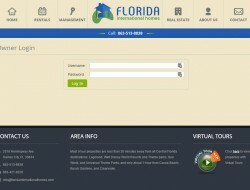 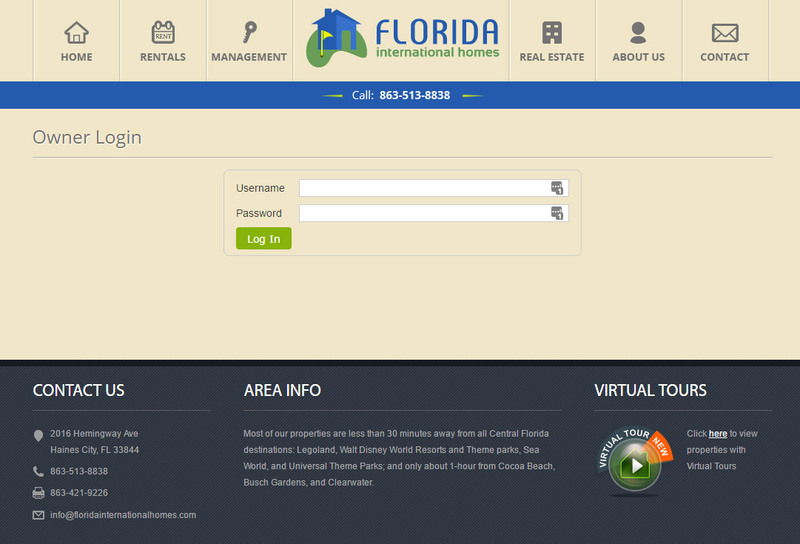 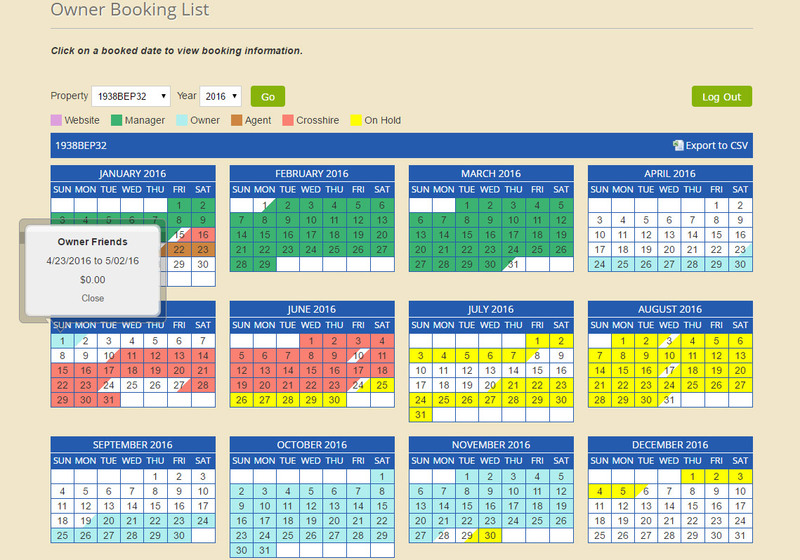 Owners can log in to access a year-at-a-glance calendar showing all of their bookings. 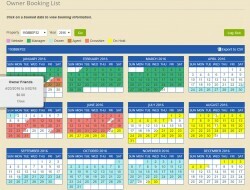 Clicking on a booked date will show the guest name, booking duration, and the relevant collected fees. 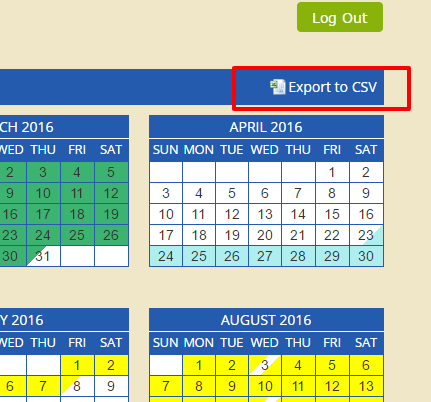 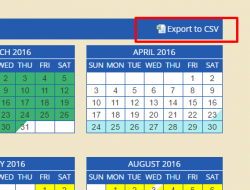 The owner may also export the the calendar into a CSV format.